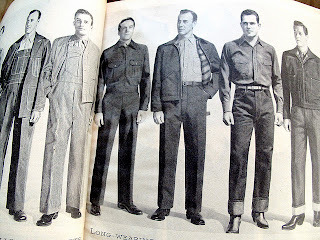 Dickies 1922 has been, yet again, very generous to us. 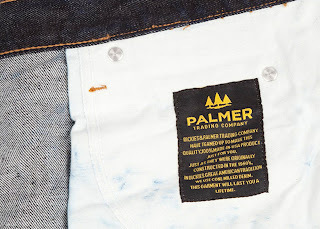 This time our care package contained a pair of denim designed in collaboration with New York’s Palmer Trading Co.
I’m loving these jeans since they use a stout 13.5 ounce Cone denim and don’t bother with using selvage, which – let’s be frank – is largely decorative. When’s the last time your jeans gave out by unraveling at the side seam? Great contrast stitching but nothing unnecessary or fancy. Rivet reinforcements where they’re needed. Laser-sharp sewing throughout. The fit is said to be spot-on 1953. I do love the relatively high waist, though I wouldn’t say no to a bit more room in the thigh for my biker legs. 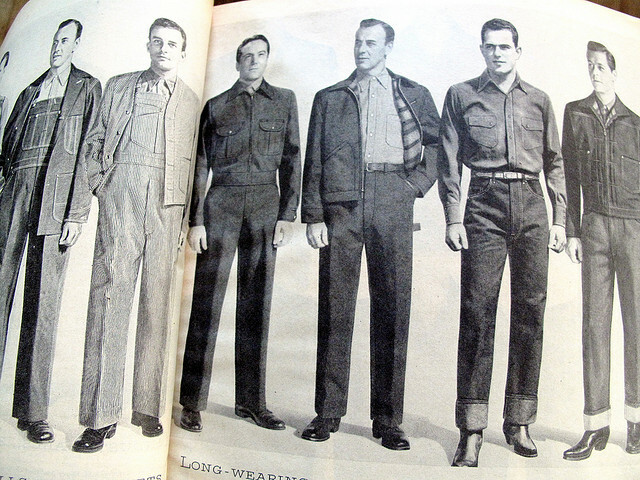 Compare to these gents from a 1950 Ward’s catalog, who seem like they’re rocking a slightly straighter cut. 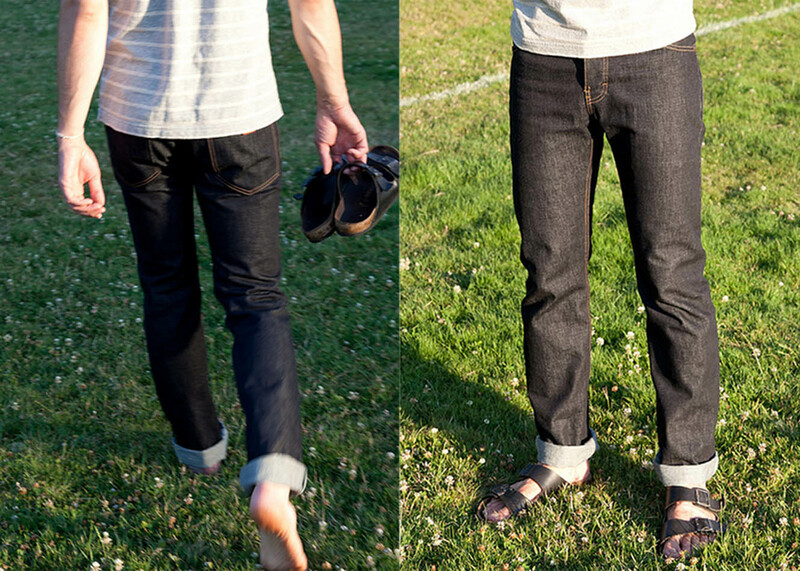 I gave these a wash and air-dry, and they didn’t shrink more than half an inch in the waist. Excellent – I definitely think that Sanforizing denim is a good thing. Washability is part of practicality in my book! 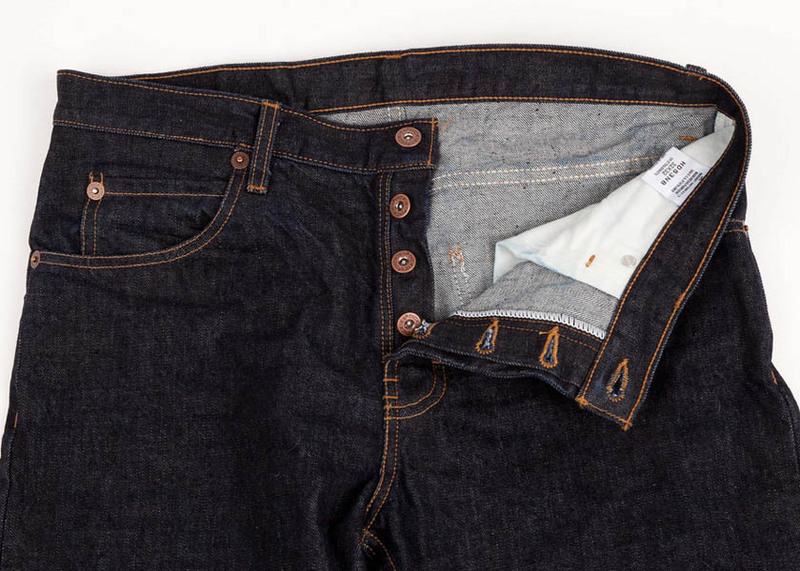 My only complaint is the intense vanity sizing – my waist measures 34″, but I had to get a pair of size 30s. 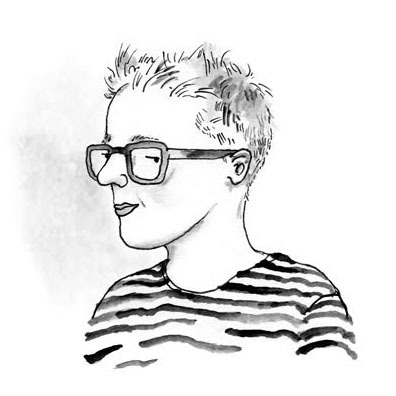 I know that’s par for the course for many denim brands, so it’s less a complaint regarding these jeans than with (cough) a well-entrenched status quo. But I keep hoping that someone will take a stand and make their pants true to size! Seems odd to use a rational system irrationally. 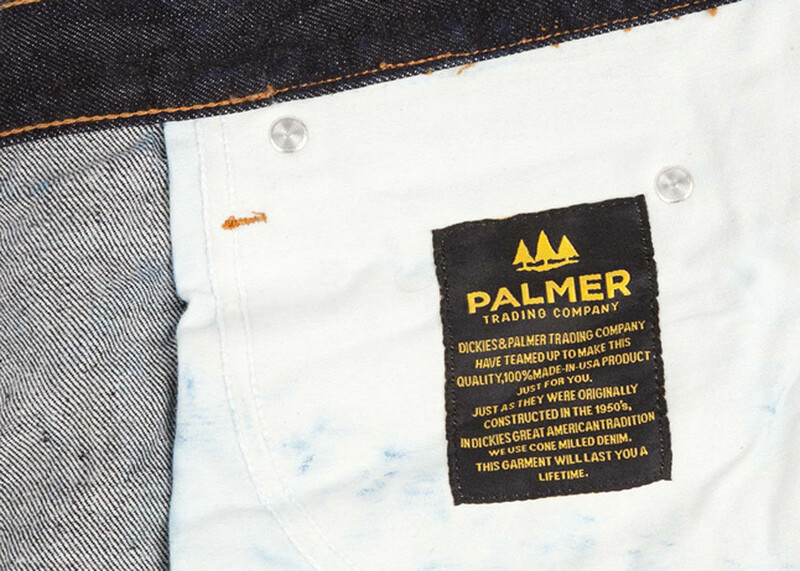 In the meantime, call Palmer, check measurements, and snag a pair soon – limited quantities! Wow! These look fantastic! I have been waiting for someone to do a true classic jean that wasn’t fashion driven. The Levi’s LVC stuff is pretty terrific for sure but boy is it hyped up. 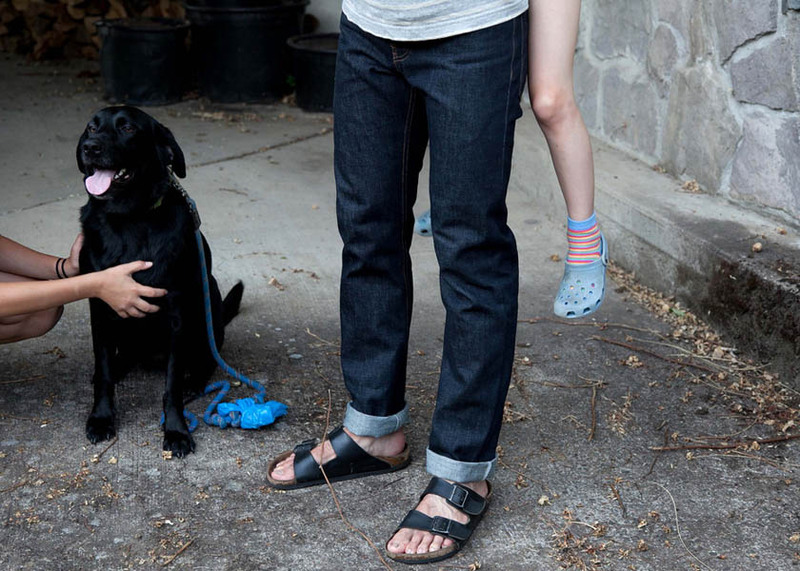 Totally agree: selvage denim is way over hyped and not at all necessary. The Japanese seem to be getting away from the trend and I am sure the US denim freaks will follow. Great review. Are these only available through Palmer Trading Company? I’m going to look into it now.